Our service project this year is making trip bags for children receiving a wish from the Make-a-Wish Foundation that we’ll load up with sunscreen, dental hygiene tools, and other necessities. 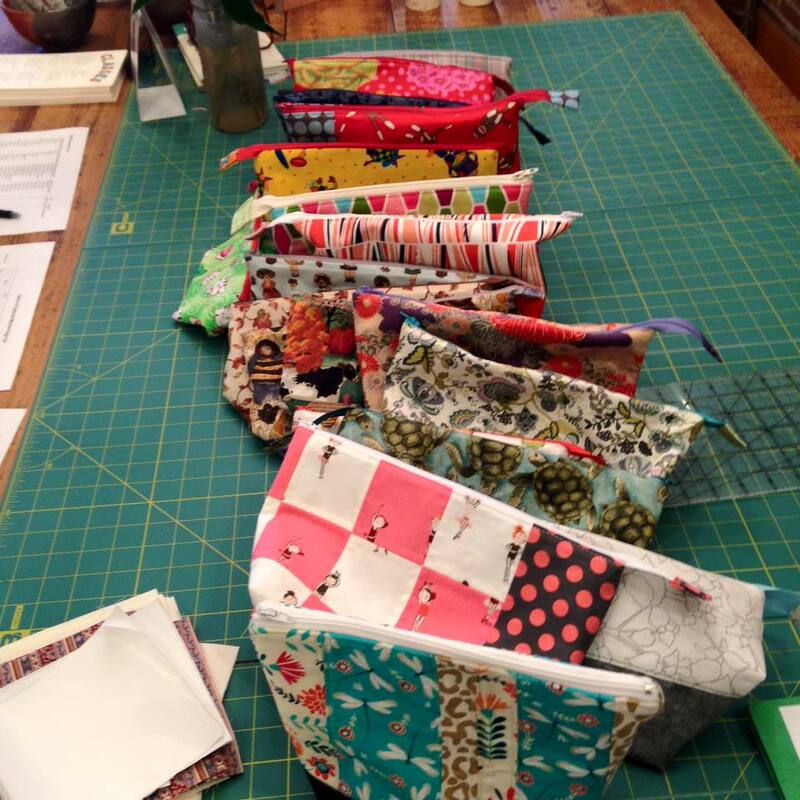 For the sewing portion, we’re making zippered pouches from Anna Graham/Noodlehead’s tutorial. And here is the follow-up post with cutting instructions. Please make the medium size. We’ll collect the pouches at our June meeting (Sunday, June 14). If you have any questions about the project, or have access to goods you think would go well inside of the pouches, please contact Betsy. Look at all the wonderful pouches we collected!